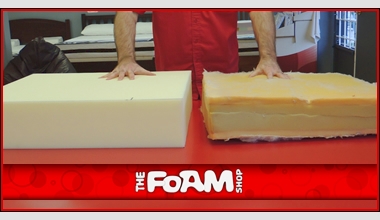 Since 1974 The Foam Shop has been providing our customers with quality comfort products and friendly, expert service. It’s no wonder such a large part of our business comes from return customers and customer referrals. Nowhere else can you find the selection of comfort products that you’ll find every day at The Foam Shop. The Foam Shop is proudly 100% Canadian owned. Starting from a single store in North Vancouver, we now have 11 stores across greater Vancouver and Vancouver Island, and we’re still growing. We also have our own manufacturing and distribution facility ensuring the highest level of quality control and quick turnaround. 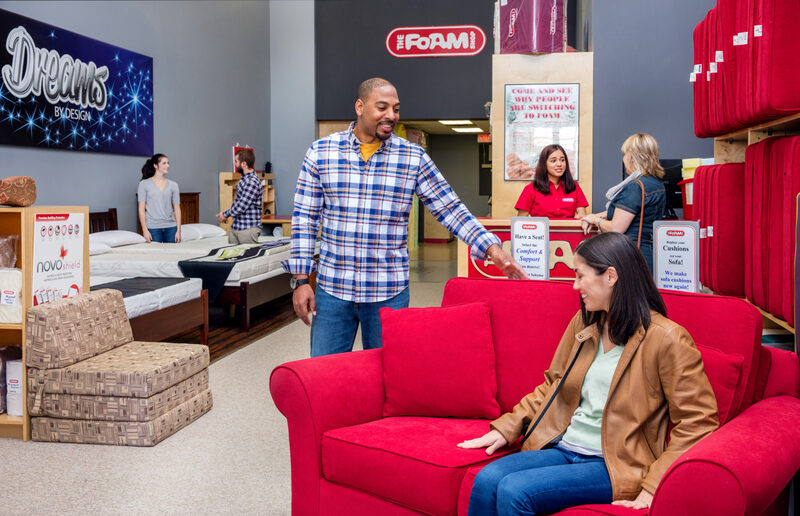 Our retail locations, coupled with our in-house manufacturing operations, can realize your custom comfort solution, big or small, and our custom upholstery team can help you along the way with all your projects. 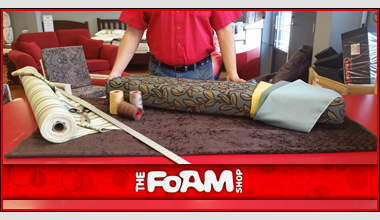 The Foam Shop is your best choice for any and all of your comfort needs. To make the lives of our customers more comfortable by providing high quality, custom cut solutions along with expert advice and excellent service. We specialize in custom cuts. 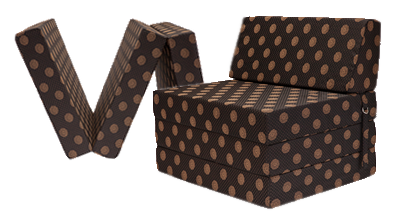 We cut foam any size and sew custom-fitted covers in your choice of fabric. You design it, and we promise to cut it. Your comfort is our business. We promise comfort solutions that relieve pressure, provide support, and make you a whole lot more comfortable. 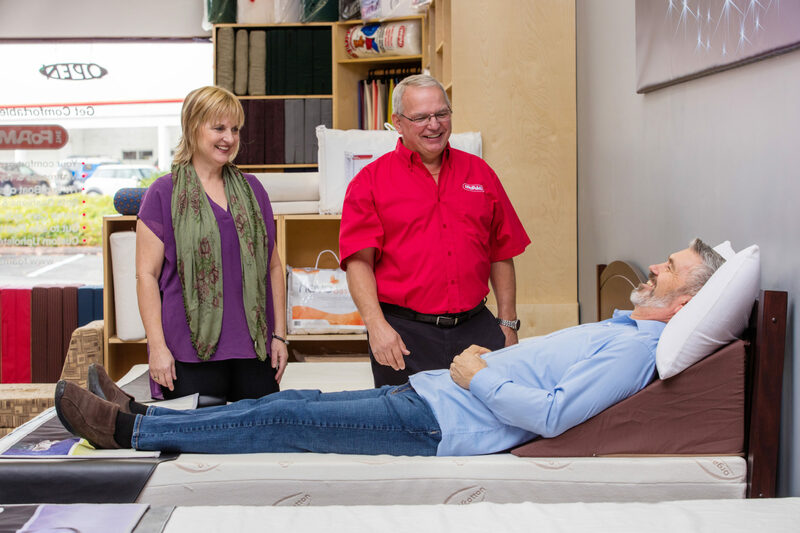 With the largest inventory of comfort products and 40 years of comfort research, we promise our expertise with the right product, and great advice from our comfort experts. 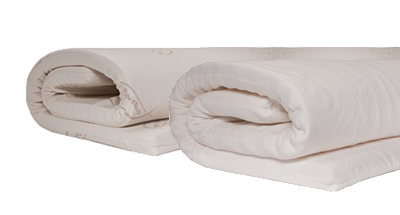 We have the largest retail inventory in Canada which means we can easily service all your comfort needs. We offer highly competitive pricing, quick turnaround and all of our stores have the ability to custom cut foam while you wait. 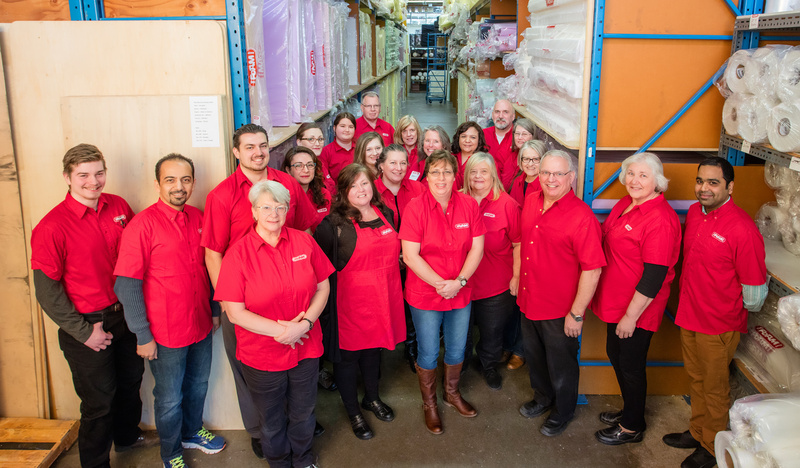 Our knowledgeable staff will ensure you have an enjoyable and informative experience and leave our showroom feeling confident about the quality of your purchase. 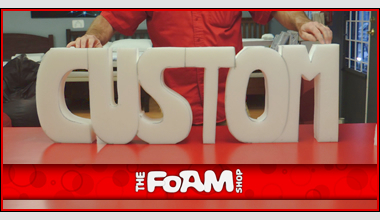 The Foam Shop exists because of our excellent customer service, word of mouth customer referrals, and because we are the highest quality, full-service comfort store. Our manufacturing – direct operation allows us the capacity to realize large commercial projects for camps, hotels, movie sets etc. It’s not uncommon for The Foam Shop to ships orders with 100’s of mattresses at a time or to provide the movie industry with truckloads of the strangest of shapes and sizes. 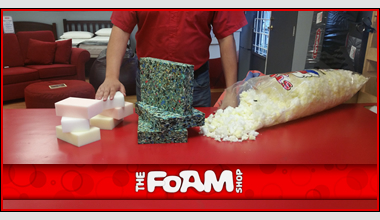 To The Foam Shop it’s just another day of doing what we do best: supplying the customer’s needs. At The Foam Shop, we take care to keep tomorrow in mind with the environmentally friendly products we sell. Our products are produced without the use of CFC’s and, all our foam products are recyclable into other products such as foam chips, foam stuffing, and carpet underlay. We stand behind all our products and are proud to offer our RestAssured Warranty program on everything we sell. While providing friendly, knowledgeable and helpful Staff. We stand behind our 40 year reputation. We have an excellent track record and are in good standing with the Better Business Bureau. The Foam Shop has been built by our many repeat customers and many letters of thanks and referrals. We are locally owned and operated. We will be here tomorrow and the day after, should any problems arise. We guarantee first run materials (high-quality and on-spec) and we guarantee all new materials (no used materials). 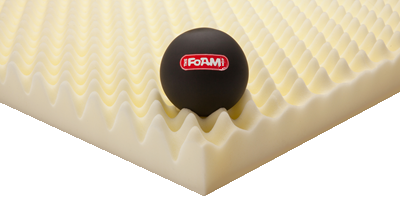 We guarantee our foam products meet ASTM guidelines for quality and performance. The many years of experience from our production staff ensure all our products are of excellent construction and intelligent, modern design. All our products are covered by our commitment to deliver the best possible products. Should you have a problem with appearance or performance we will stand behind our products. Ordered 20 custom foam bolsters from the foam shop. The Foam Shop was amazingly helpful and went above and beyond my expectations… 10/10 service/quality and the product is very well made. They truly stand by their work. Will order from them for sure in the future. Thank you to MaryAnn & the staff at the Kitsilano Foam Shop for your speedy service yesterday in replacing our down couch cushions!!! Wow! They look amazing… No more messy down feathers leaking out of our beautiful leather couch! Would definitely recommend The Foam Shop to others. We want to pass along our thanks to the Kitsilano Foam Shop for doing such a good job on the seat cushions of our couch. It looks great and is even nicer to sit on. Wonderful work, we will be back for sure. My quest for a good night sleep brought me to the Foam Shop. I wasn’t “sold” a bed, I was educated on the benefits of a foam bed. 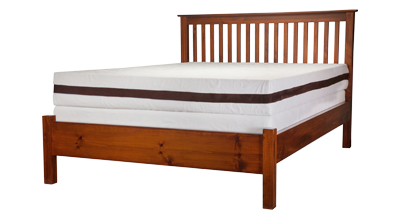 I choose a Harmony Natural bed, made from natural latex,covered in organic cotton. I’ve slept well,feel no movement from my husband,wake up with no aches!